AmerAdnan Explains - Which Flooring Type Best Suits Your Home? AmerAdnan Explains – Which Flooring Type Best Suits Your Home? 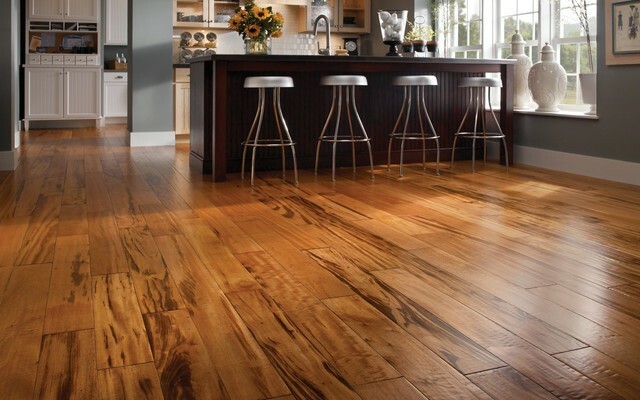 When it comes to home flooring, the choices available in the market are more varied than ever. The product innovation has come a long way and picking something out of this underfoot mash-up has become quite a job for consumer. This is where two key elements come into consideration; style and budget. AmerAdnan helps its clients choosing the flooring type that not only fits into their budgets, but also boosts the value and look of their homes. Here AmerAdnan has explained different types of flooring from which you can pick one for your sweet home. The hardwood flooring is popular because of the natural beauty and durability it offers. This not only makes the floor look extravagant, but also allows it to blends easily with the light color walls and furniture. According to AmerAdnan, the popularity of this kind of flooring is not just for its awe-inspiring finish, but also for its ability to blend with any kind of interior design. The hardwood flooring comes as strips of wood that are approximately 1 to 3 inches wide. The most common types of hardwood flooring include oak, black walnut and maple flooring. Other popular floor types with distinctive grain patterns include chinquapin, mesquite, pecan and many more. For a great finishing of hardwood floor, the experts make use of additives such as ceramics, acrylic monomers, aluminum oxide and many more. If we take a peek at the modern house construction in Pakistan, we’ll come to know that hardwood flooring has also been replaced at places by many other similar looking and popular flooring types such as vinyl floors, engineered wood floors, bamboo floors, laminate floors and many more suiting various budgets. The ceramic tiles are available in many different colors, textures and sizes to match different interiors and aesthetics. 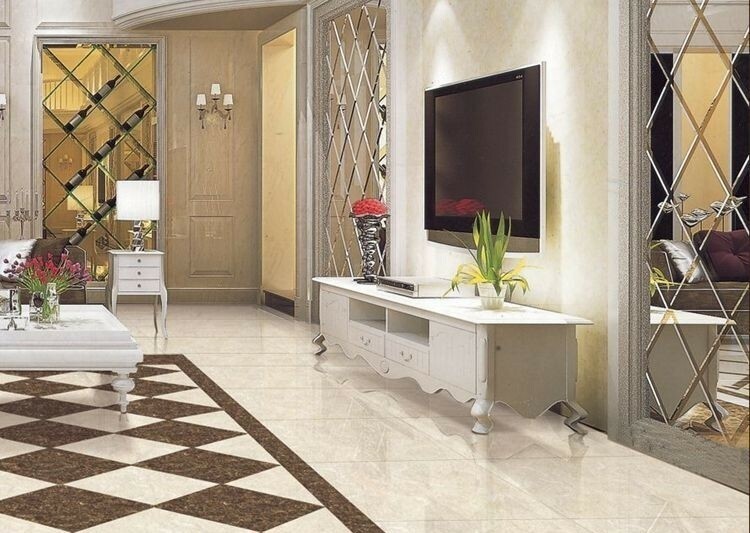 The cost of ceramic tiles varies widely and a person with every type of budget can find them suitable. Moreover, they are easy to clean which makes them an ideal choice for homes with children. Made out of a mixture of clay and shale, the ceramic tiles look fabulous and can be made into different styles including original ceramic, marble and wood styles. Ceramic tiles are widely used these days in commercial plazas as well as in the modern house construction in Lahore. There are four basic types of ceramic tiles that include the glazed ceramic tiles, quarry tiles, porcelain tiles and terracotta tiles. The glazed ceramic tiles, as the name suggests, are glazed and bears a resemblance to glass. They are available in countless colors and textures to pick out from. The quarry tiles are unglazed and have a matte finish. They offer slip resistance and are good for homes with kids. The porcelain tiles are hard and long-lasting. It is resistant to staining and are easy to maintain. 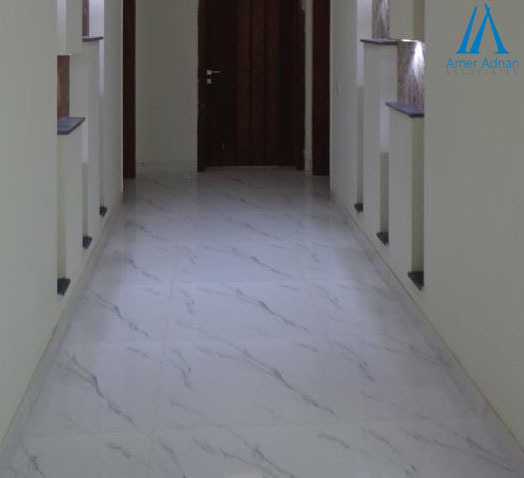 As we all know, the floors made out of stone tiles are the most durable and long-lasting. 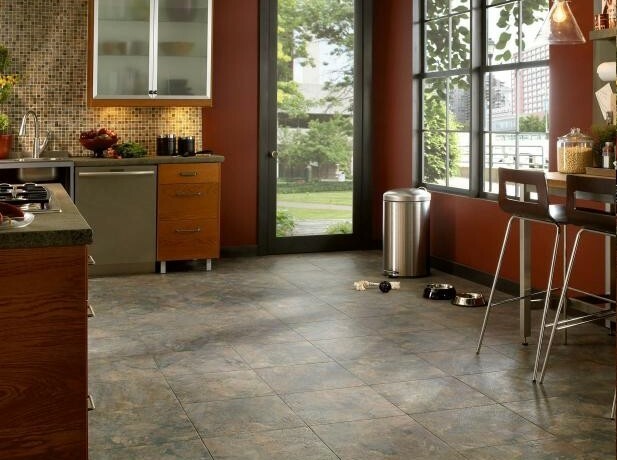 One can easily drag furniture and be assured about the long life of their floors with the stone tiles. The stones are also known to resist the moisture and stains. The best stone tiles include those made out of marble, granite, limestone, slate and travertine. According to AmerAdnan, harder stones like marble and granite, one should get them sealed every 4 to 5 years to ensure their durability. Moreover, it’s always best to polish the stone flooring at least every 2 years to make sure that the stone doesn’t lose its beauty and shine.